Another school year is drawing swiftly to its close. It might have been a fantastic year for your child or, perhaps, a difficult year where you wish many things were done differently. Does it make sense to talk it over with school now, when it's "too late" to do something for this year? It's OK to Be "That Parent"
Let's admit it. Most of us feel awkward talking to our children's teachers. For me, I flash back to being a student and looking up at my teachers as all-knowing, powerful beings. I also understand that my daughter is just one of 28 students in her class. Why should I ask her teacher to spend her limited time on discussing things uniquely related to my child? After all, she is doing OK, isn't she? Do I really want to be "that parent" - the one who wants special consideration for her "unique snowflake"? But you know what? My child is a "unique snowflake", and so is every child. His or her current child's teacher might have been able to meet those unique needs very well or not at all. For better or for worse, in most schools elementary school teachers change every year, so you now have a very special opportunity to set the right course for the next year as school administration is usually planning out class placement and generally more open to accommodation requests. Regardless of how your relationship unfolded during this year, and even if you did not have any relationship outside of mandatory parent-teacher meetings, your child's teacher has hopefully gained some insight into your child by this time. Remember that she does not deal with the same child we do at home, so some of her opinions might surprise you. 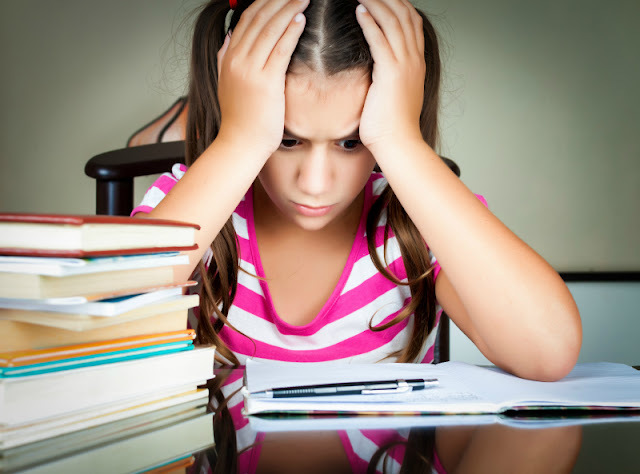 Your teacher might have some valuable tips about your child's strengths and weaknesses and perhaps recommend some resources for summer study if that is needed. And even if the teachers are not allowed to talk to parents about strengths and weaknesses of individual teachers of the next grade, they do have an input into next grade's placement and might be great advocates for your child as these decisions take place. Our school encouraging writing emails about school placement, mostly with the intention of keeping close friends together if their parents request that. The Educators' Spin On It has a great article on how to write such a classroom placement request letter, and we will definitely be putting things in writing this year, something that we did not do in years past. In the past two years we felt the need to meet with our principal to discuss placement and accommodations for the next year. Due to some changes this year, we will definitely be doing it again. While our school is amazing with bringing technology into classroom and has an amazing community of parents bringing fun enrichment programs into school, we feel that more can be done in the area of differentiation for gifted learners, especially when it comes to math. This will be the subject of our conversation this year. IEP, or an individual education plan, is usually initiated by school administration for struggling students. However, you might have a student where a higher than average IQ might compensate for learning disability, so the student appears "OK" from a teacher's point of view while not performing near its ability or experiencing high anxiety or depression. While we have no experience with this, my recommendation is to start by exploring IEP rules for your state. Here is how you can request an IEP in our home state of California. Parenting House has a great free kit for parents to use in IEP meetings. You know your child better than anyone else. You know what he or she needs to thrive in school. It's your responsibility to advocate for your child when he or she is not getting the education they should receive. So go ahead, be that parent and request your end-of-year conversation now. Did you have year end conversations with your child's school in prior years? Follow my In the Classroom Pinterest board. Our school has all parents write placement letters. I should try to get some insights from my kids' teachers, too - especially since all three have had a great school experience this year. Great post. I think it's hard on both sides for the teachers and the parents to communicate well.